Chiropractic is based on logical principles. It just works. Think of the billions of pounds spent each and every year to improve health care. There’s always new drugs coming out. Over the years, we find out they’re causing more side effects than they’re providing in value, and then more drugs come out to replace the dangerous ones. Then we later find out that those have other effects we didn’t know about, and the cycle keeps repeating itself. The traditional medical model as an imperfect science needs constant improvement. 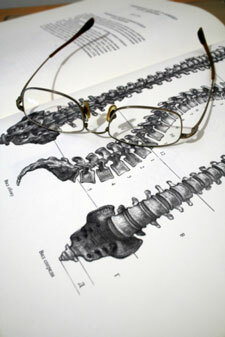 Chiropractic is an uncomplicated idea that is, simply, the best. It just works! There’s been no need to change anything in almost 120 years. Keeping it Simple and Effective! The logical principles chiropractic is based on have been the same since their development in 1895, yet its massive implications can be so impactful on your health. It’s been perfect since it was first discovered and hasn’t needed to be re-designed. There may be a technique or two that has been further developed or new hand positions to use in certain adjustments, but the intention has always been the same: to improve the function of the spine and nervous system to allow the messages to and from your brain to reach their destination as intended. Choose the health care that doesn’t need improvement. Enabling your body to work at its highest potential will always be the right choice.